Warhammer 40k’s 8th Edition launched in July 2017. New rules, streamlined mechanics and new armybooks for every faction have shaken up the game quite a bit. But has everything changed for better or for worse? In short but comprehensive game demos we want to give you the opportunity to find out for yourselves. No matter if you’re a Warhammer 40.000 veteran, a curious newcommer or the ever sceptical observer – we’re going to show you what the 8th Edition is or isnt capable of. 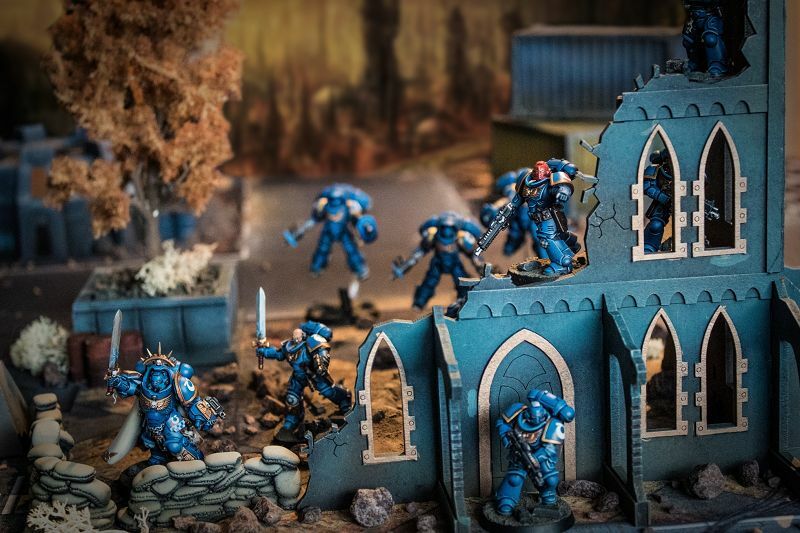 Take command of the glorious sons of Roboute Guilliman, the Ultramarines, or side with Grandfather Nurgle and lead the Death Guard into combat.